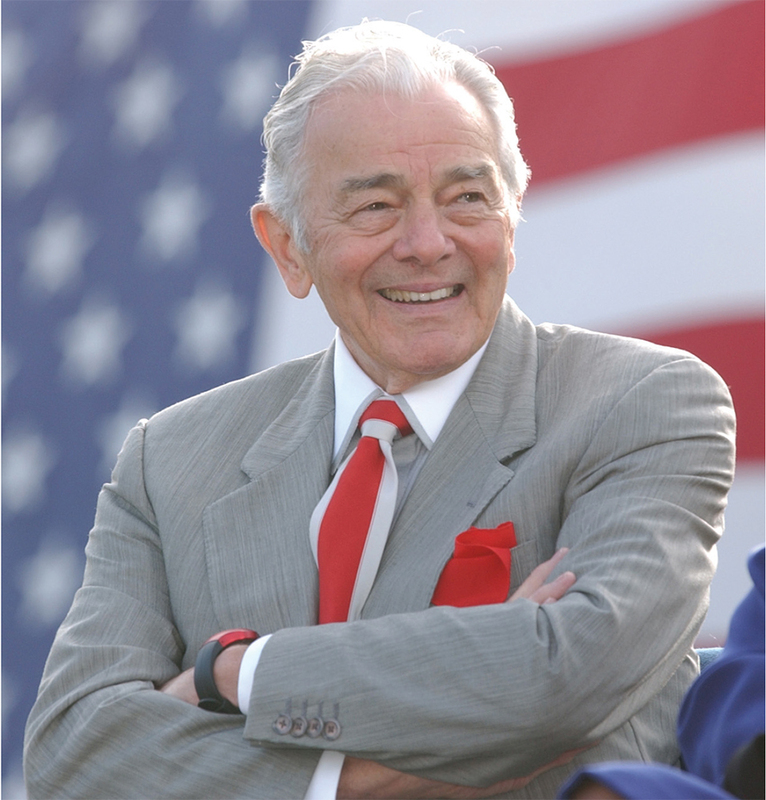 Al Neuharth (1924-2013) was the founder and senior advisory chairman of the Freedom Forum, a nonpartisan foundation that champions the First Amendment as a cornerstone of democracy. The Freedom Forum funds and operates the Newseum, the First Amendment Center and the Freedom Forum Institute. Neuharth was chairman of the Freedom Forum from 1991 to 1997 and was a trustee of its predecessor, the Gannett Foundation, from 1965 to 1991, serving as chairman from 1986 to 1991. Neuharth authored eight books. His autobiography, “Confessions of an S.O.B.,” had a long run on The New York Times and other bestseller lists. The hardcover book had five printings by Doubleday. World paperback rights were sold and the book has been translated into five foreign languages. Neuharth was born on March 22, 1924, in Eureka, S.D. At age 11, he took his first job as a newspaper carrier and later as a youth worked in the composing room at the weekly Alpena (S.D.) Journal. After graduating from Alpena High School, he served as a combat infantryman in World War II. He was awarded the Bronze Star. After the war, Neuharth attended the University of South Dakota, where he majored in journalism. When he graduated in 1950, he joined The Associated Press in Sioux Falls, S.D., as a reporter. In 1952, he and a friend launched a statewide weekly tabloid called SoDak Sports. The newspaper failed financially. In 1954, broke and in debt, Neuharth got a job as a reporter at the Miami Herald. Over the next seven years, he was promoted from reporter through many editorial positions to assistant managing editor. In 1960, he was named assistant executive editor of the Detroit Free Press. Both are members of the Knight Ridder newspaper group. Neuharth joined Gannett as general manager of its two Rochester, N.Y., newspapers in 1963. In 1966, he assumed the added role of president of Gannett Florida and started a new newspaper, TODAY, later renamed Florida TODAY. Neuharth was married to Dr. Rachel Fornes, a Cocoa Beach, Fla., chiropractor. They have six children. Neuharth also has two children by his first marriage. Neuharth died April 19, 2013, in Cocoa Beach, Fla., where he and his family lived in a renovated log cabin called Pumpkin Center. He did his writing there in a beachside treehouse that overlooks the Kennedy Space Center launch pads. “Free press, free speech and free spirit. These are the guiding principles of the Freedom Forum. The first two are easy to grasp. Free Press: the freedom to print or broadcast without censorship. Free Speech: the freedom to speak without compromise. Free Spirit is harder to define. Free spirits dream, dare and do. A free spirit can also be a risk-taker, a visionary, an innovative leader, an entrepreneur or a courageous achiever who accomplishes great things beyond his or her normal circumstances.